Ted Savas informed us today that the Stuart’s Ride book will ship from the printer tomorrow. At long last, we have a book! For those who’ve expressed an interest in having a copy of this book, sit tight just a few days longer, and I will have books in hand. I’m excited. I’ve been eagerly awaiting the arrival of this one, probably more than any other book I’ve ever written. I can’t wait to see the finished product. The Dahlgren bio is the first full-length biography that I’ve written solely on my own. That he died in combat at 21 years, 11 months made it relatively easy from the perspective of there being a very finite period of time to cover. The fact that I managed to get 100,000 words out of it should tell just how jam-packed this young man’s life actually was, and how much he accomplished in terms of military deeds in less than two years in the army. So, the bigger question–as yet unanswered–is how much of a challenge it is going to be to tackle the life of someone who lived a long full life and accomplished many things in the years after the Civil War. Frankly, that’s something that I have never yet attempted. I’ve previously mentioned my very long term interest in General David M. Gregg, who settled in my home town of Reading, Pennsylvania after the end of the Civil War. Gregg resigned his commission under some very uncertain circumstances in February 1865, just before the end of the war, and then settled in Reading. He lived until 1916, and reached the ripe old age of 83, and had a long and successful career after the war that included diplomatic service. There are two large collections of his papers–one at the Library of Congress and the other at the Berks County Historical Society in Reading, PA–and an unpublished memoir of the General’s pre-war service in the west written by his son. A biography of David Gregg presents a very different challenge than writing a biography of a young man who died in battle before his 22nd birthday, the primary difference being that Gregg’s life was not ensnarled in controversy like Dahlgren’s was. Gregg has long needed a good full-length biography. There has only ever been one published, and it’s 22 years old, only 136 pages long, and self-published. I own a copy. It’s not a good book. Gregg deserves much better. Some time ago, I decided to tackle a full-length biography of Gregg, and I’ve started the process of gathering material. It’s going to be a number of years before I’m ready to put pen to paper, but I’m looking forward to the challenge of trying to tackle his life. The same thing holds true for Theodore J. Wint, except for one thing. Although Wint served in the Army for 43 years, there are no known collections of his papers to be found anywhere, whereas Gregg left a large legacy of writings in his own words. Trying to cobble together a full-length biography of Wint poses different challenges. Most of his career was spent fighting Indians under Ranald MacKenzie–something I know little about and will have to educate myself about–and then fought in Cuba, the Philippines, and in China during the Boxer Rebellion. In order to cover his life in detail, I’m going to have learn a great deal about a lot of things that I presently know next to nothing about. So, it’s going to be a real challenge. But it’s one I welcome. It’s All About Selling Books…. When I choose the topics for my books, I do so understanding that they will often have limited commercial appeal. Let’s face it–a book about a cavalry battle that took place on the grounds of Fort Bragg in the closing days of the war will have a far more limited commercial appeal than, say, the 147th book devoted to Pickett’s Charge. I get that. It makes a certain amount of sense to me. At the same time, I don’t do this to lose money, either. In a perfect world, I would actually make some decent money from one of these projects. The book on Stuart’s Ride seems to offer the best hope of really selling a lot of books and making some money of any project I have yet published. I’ve already mentioned here that J. D. and I had put together a web site for the promotion and sale of the Stuart’s Ride book. However, Ted Savas, our publisher, pointed out to us that we’re not professional web designers and that neither of us really have the knowledge or tools to really create a slick, professional web site to sell our book. We’ve decided to spend some money and engage the services of a pro to develop the site for us, and he’s getting started this week. The book is supposed to ship from the printer next Tuesday, so there’s not a lot of time. Ted put us in touch with Val Leolagi of Digital Architects, who has done some fine work for several of Ted’s authors. We’ve retained Val to do our site for us, and, once it’s done, I’m planning on hiring him to do an overhaul of my Rush’s Lancers website to not only continue to include the great content that’s there now, but also to majorly jazz it up as a means of promoting and selling my new regimental history of the Lancers. The web site has not had any sort of an update of any substance since Susan designed it in 1999. It would be really nice to make back some of the very large investment I’ve made into documenting the history of this regiment for the past twelve years, and I need every edge I can find to sell more copies of the book. Sean Dail posted a note on his blog today indicating that he had decided to shut down his blog for a variety of reasons, not the least of which is a distinct lack of time to devote to the task of regular blogging. I’ve known Sean for a long time, and I know him to be a smart and diligent student of the Late Unpleasantness, and I regret seeing him abandon blogging. However, I understand, and, as he has suggested, I will be removing the link to his blog that has graced the list on the right side of my blog for the past several months. Please stay in touch, Sean. Your insights will be missed. I’m now in the process of tweaking and editing my own work. I typically prefer to get things down on paper and then do a lot of tweaking, editing, and rewriting as I go. I print out the manuscript and work off a hard copy. I will typically take three or four passes at it before entering the revisions into the computer. I use a different color ink for each pass in order to make it easy for me to tell when I’ve made a change. For this first pass at the Dahlgren manuscript, I’m using a green pen. The next pass will be red, the third pass will be in purple, and if I do a fourth pass at it, I will probably use black. When that process is completed, the work is then ready to be sent out for review and comment by a select group of friends who read virtually everything that I write. My first drafts tend to be plagued by too much passive voice, and eradicating it and making those constructions active tends to be the focus of the first editing pass at the draft. The other drafts focus on fine-tuning and tightening things up. By the time I’ve gotten through my review process, I’ve pretty much done what I can do with the thing, as I can no longer even see problems any more. I’m nearly finished with my first pass at the Dahlgren manuscript, and should finish that first pass tomorrow night. There’s plenty of green ink bleeding all over the manuscript, and I will definitely have my work cut out for me when the time comes to input all of the changes. I will then take a couple of days off and then pitch into my second pass. By the time that this process is completed, I’m thoroughly sick and tired of the thing, largely incapable of even looking at it again for a while. It’s a good thing that it typically takes my readers a month or two to go through the draft and get it back to me, because I DEFINITELY need the time away from the manuscript. I will keep everyone posted as to my progress. At the risk of sounding rude and/or ungrateful…. This is my blog. This is where I get to rant. You, my readers, also get to rant in the comments. However, that privilege is not absolute. Nobody gets to make personal attacks in the comments, and nobody gets to shanghai them for their own agenda. What I will not do is spend what little precious free time I have moderating my own blog. When I started this, that was never within the realm of contemplation, and I am not willing to do it. Likewise, the abuse of the comments section is not something that I will tolerate. My way of dealing with problems is to eliminate them. If the comments continue to be a problem, I will eliminate the problem by disabling the comments. That is neither subject to discussion nor appeal, nor are my decisions about how people are permitted to behave on my blog. I pay for this website. That means I get to make the rules. Bottom line. Stuff like what transpired in the comments to the recent post on Dave Gaddy’s take on the Dahlgren controversy will NEVER happen again, or there will be no more comments. Harpers Ferry, W.Va. – The Civil War Preservation Trust (CWPT) and the National Parks Conservation Association (NPCA) issued a statement today in response to the illegal bulldozing of a portion of the Harpers Ferry National Historical Park this past weekend by a handful of local developers. Purposely and without permission, the developers dug a deep trench through historic land owned by the National Park Service and the American people. The purpose of the water and sewer line is to facilitate a planned development of approximately 3,400 houses proposed for construction both inside and adjacent to the Park Service boundary. To date, the developers have not received any local approvals necessary for this development to proceed. For several years, CWPT and NPCA have been leaders in an extraordinary and successful effort to protect historic lands at Harpers Ferry. With the support of local business owners, civil rights leaders, conservationists, history buffs, recreation enthusiasts, heritage tourism interests, and elected officials, Congress expanded the parkâ€™s boundary in 2004. Millions in federal grants as well as private funds have been raised to purchase land from willing sellers to add to the national park. As the developers were running their bulldozers last weekend, hundreds gathered from across the country to participate in a National Park Service-hosted commemoration of the centennial of a meeting at Harpers Ferry in 1906 that laid the cornerstone of the modern-day civil rights movement. CWPT is a 75,000-member nonprofit battlefield preservation organization. 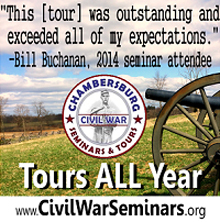 Its mission is to preserve our nationâ€™s endangered Civil War sites and promote appreciation of these hallowed grounds. Over the years, CWPT has saved more than 23,000 acres of hallowed ground, including 325 acres on the Harpers Ferry Battlefield. Since 1919, the nonpartisan NPCA has been the leading voice of the American people in protecting and enhancing our National Park System. NPCA, its 325,000 members, and partners work together to protect the park system and preserve our nationâ€™s natural, historical, and cultural heritage for generations to come. This is an outrage that almost defies description. I can only hope that these bastards are prosecuted and that the financial penalty HURTS and is not merely a slap on the wrist. If you’re as angry about this as I am, please send an e-mail to Interior Secretary Kempthorne at exsec@ios.doi.gov. By e-mail I also wrote of the composition of the Kilpatrick-Dahlgren columns, seeing evidence of â€œtask-organizationâ€ that seemed so modern to me. For example, the assignment of men from the BMI, headed by Capt. McEntee, one of the (if not the) top men of Sharpeâ€™s organization; the assignment of two signal officers (which should have entailed a small team of accompanying signal specialists each); engineers, pioneers, commissaries, quartermasters, etc., plus â€œspecialized equipmentâ€ for raiders, such as oakum, turpentine, and torpedoes/minesâ€”placed under control of signal officers. I do appreciate your desire not to be drawn into a detailed examination of the raid itself. But, for example, Ed Fishelâ€™s acolyte, Feis [Grantâ€™s Secret Service] (304 n38) identifies â€œat leastâ€ eight BMI â€œemployeesâ€ as accompanying the raidersâ€”Capt McEntee plus two with Kilpatrick and five with Dahlgren. The latter include Hogan (Lt., 1st Ind Cav) and Swisher, whom you refer to as Dahlgrenâ€™s guides [Chapter 11, pp. 28, which Iâ€™ll ref here as 11-28, and 35, more or less], but their relationship with BMI may reveal another dimension to the origin and composition of the raid. What Iâ€™m pressing is the level of â€œwho knew what,â€ who sketched the concept, who authorized it, who allowed (or directed) Dahlgrenâ€™s involvement, etc., which are treated in 11-4, 5 and elsewhere. In a commentary (â€œReflections on Come Retributionâ€) published in the Winter 1989 issue (Vol. III, No. 4) of The International Journal of Intelligence and Counter-Intelligence, 567-573, I stressed our discovery of the covert executive-level authorization and funding of secret service activities in the CSA and suggested that it perhaps followed a familiar USA model, namely, that Congress appropriated (starting with Geo. Washington) a â€œprivy purseâ€ to be disbursed at the direction of the President, by his executive agent, the Secretary of State, to the mission agent (say, Secretary of War, for further relay down the line). This provided â€œexecutive deniabilityâ€ for the President and offered two or more cabinet level officials who could â€œtake the fallâ€ if something went wrong. After the publication of CR, James O. Hall directed my attention to proof that the US did follow that model, namely, a Lincoln authorization to Seward to advance â€œsecret serviceâ€ funds to Meigs for a mission to Pensacola. (This continued until the creation of CIA in 1947 and the deniability aspect disappeared when Eisenhower â€œâ€™fessed upâ€ to U2 overflights of the Soviet Union.) Sorry for the long-winded digression. My point is that too much behind the story of the raid (talk about foreshadowing the Son Tay Raid in Viet Nam!) smacks of White House secrecy and drew me later to the George/Wistar argument, perhaps stemming from Lincolnâ€™s interview with senior escapees from Richmond. I find it difficult to stop (or start) with Stanton. Wily Mr. Lincoln and his SecWar were as adept at covering their tracks as were Davis and Benjamin. Ditto Butler. (I confess that the psychological complexity of Stanton gives me fits.) There seem to be traces of prior PYA thinking (e.g., Kilpatrickâ€™s acceptance and possible setting-up of Dahlgren as fall guy or sponsored hero), ex post facto cover-up (e.g., the disappearance of the Dahlgren papers originals), and promulgation of the heroic patriot â€œtake.â€ (That there was genuine concern for the plight of brave men in prison I do not doubt, and I cannot read Adm Dahlgrenâ€™s grief-stricken writing unmoved.) I write this for your information: I think you have done an excellent job of finding your trail through the mine-field. This may or may not strengthen your conviction here and there. Here’s what I find intriguing about his analysis. First, and foremost, there seems little reason to have sent so many BMI guys–including the very best of them–unless there was something more to this than meets the eye. I was not aware that Hogan and Swisher were BMI guys–I understood that Martin Hogan, a lieutenant in the 1st Indiana Cavalry, was simply Dahlgren’s favorite scout, with whom he had worked previously. I must admit that this does cause me to reassess some of my thinking on this issue. I also find some of his analysis–specifically that part which addresses the conspiracy aspects of this–somewhat persuasive, although I tend not to be much of a believer in conspiracy theories. In point of fact, I normally don’t buy into conspiracy theories. To clarify one thing he mentions: the “George/Wistar” reference is to an extremely interesting article by Joseph George, Jr., â€œâ€˜Black Flag Warfareâ€™: Lincoln and the Raids Against Richmond and Jefferson Davis.â€ The Pennsylvania Magazine of History and Biography, Vol. 115, No. 3 (July 1991): 291-318. The article by George was the one that first tipped me off to the Wistar expedition. I am still not persuaded by Dave, although I’m looking at his theory a bit more closely than I did previously. I am going to include this same discussion (cleaned up just a bit) in one of the endnotes to the manuscript because I consider it to be well-reasoned and worthy of inclusion. I remain convinced that Lincoln himself had no knowledge but that the order may well have come from Stanton. And, as reader Bill Bergen pointed out in a comment to last night’s post, it remains entirely possible–and perhaps even probable–that Kilpatrick and/or Dahlgren were cowboying here, and that nobody beside them knew. What’s clear is that we will never know the answer to this mystery. It remains a fascinating and terribly perplexing question that will probably continue to tantalize me for the rest of my life. And I Thought I Had It All Figured Out…..
Those of you who read this blog regularly know that I’ve spent a lot of time–and a lot of words here–discussing the question of what Lincoln knew and when he knew it with respect to the Kilpatrick-Dahlgren Raid, and specifically, whether Lincoln knew of and approved of a plan to kidnap and assassinate Jefferson Davis and his cabinet, as certain papers found on Dahlgren’s body suggested. A couple of weeks ago, I posted the working draft of my take on this question here, and the next night, I supplemented that post with additional thoughts on the same question. Between these two posts, I laid out my thoughts on this topic in great detail, and figured that I had, at long last, tiptoed tuft to tuft across this particular morass. I was ready to move on. 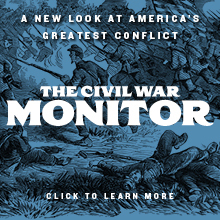 I sent the working drafts of those portions of the manuscript that dealt with the Kilpatrick-Dahlgren Raid, including the appendix, which addresses the validity of the Dahlgren Papers themselves, to David W. Gaddy, one of the three authors of Come Retribution, a book-length study of the Lincoln Assassination. 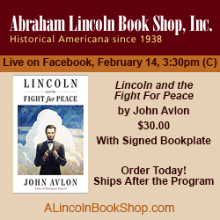 This book postulates that the Lincoln assassination actually was ordered and carried out by the Confederate secret service, in part to avenge the Kilpatrick-Dahlgren Raid. Dave Gaddy is a former intelligence officer, and he is quite knowledgeable about these events. Consequently, I thought I would get his thoughts on the working draft. I got much more than I bargained for in doing so. When Dave wrote me back, he laid out an entirely new angle on this for me that spells out a somewhat persuasive argument that Lincoln not only knew, he actually ordered the kidnapping and execution of Davis and his ministers. To borrow a line from Michael Corleone, just when I thought that I was out they pull me back in. Dave’s thoughtful letter to me prompted me to reassess some of thinking on this whole question. I’m still not entirely convinced that Lincoln knew, but I’m leaning a bit more in that direction than I had previously. I’m getting ready to go back and see about revising my take on these events once more. If Dave gives me permission to do so, I will post his letter here. This question hovers over any biography of Ulric Dahlgren like the sword of Damocles. Much as I would love to duck this question altogether, it simply has to be addressed by anyone attemptin to tell the story of this young man’s life. There is no way around it, and I can’t think of any single question about the Late Unpleasantness that has in turn intrigued me and driven me crazy more than this one has over the years I’ve wrestled with it. A special thanks to Mike Koepke and to Tom Churchill at Touch the Elbow for their kind words about our shameless self-promotion of our book on Stuart’s Ride. Thanks for noticing, and thanks also for the kind words.